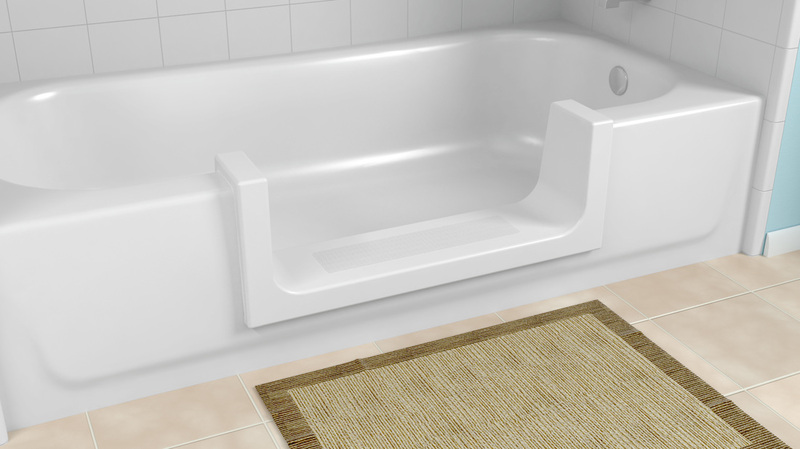 Adds Step-In Accessibility to Your Existing Tub! Installation completed on existing tub! Installed in less than one day! Greatly reduces the possibility of falls. Converts your bath to a step-in shower. Completed in just a few hours. Fully installed for just $995! 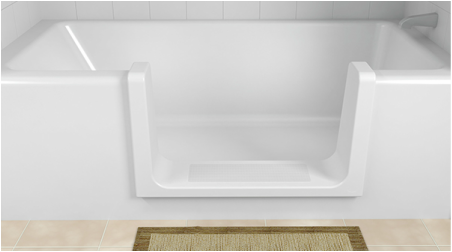 Adds Step-In Accessibility to Higher Profile Tubs! Made for use with high profile tubs! Configures from Step-In to Full Bath in Seconds! Or configure as step-in tub! Removable unit locks and unlocks quickly. Flexibility to meet your changing needs.